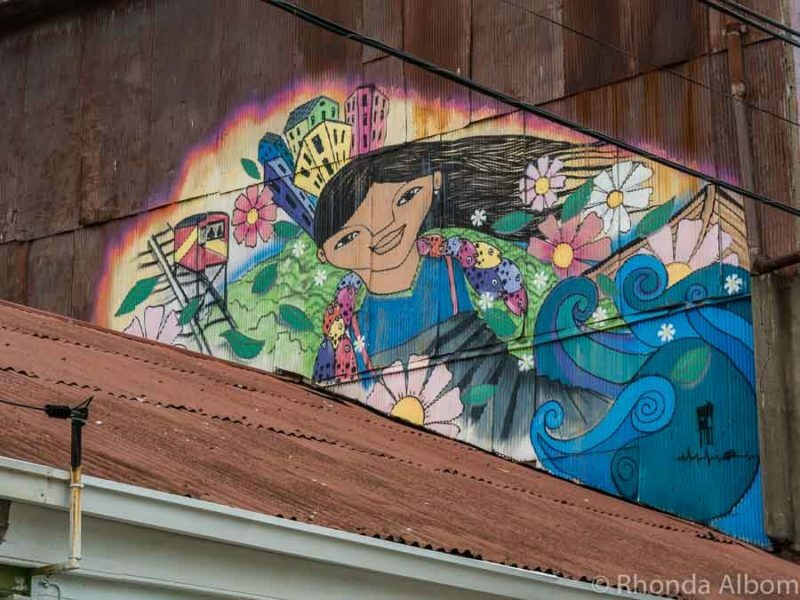 Valparaiso street art is a bold and dramatic example of personal expression. It is different from other cities. Not so much in its style, but in its artists’ passion, respect, and backstory. 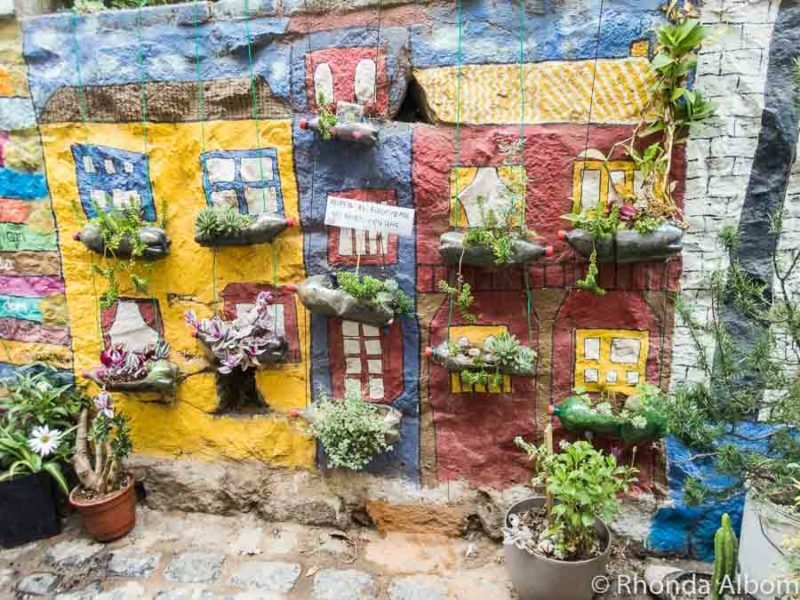 Unlike the rest of Chile, where street art is illegal or restricted, the Valparaiso government almost encourages this freedom. 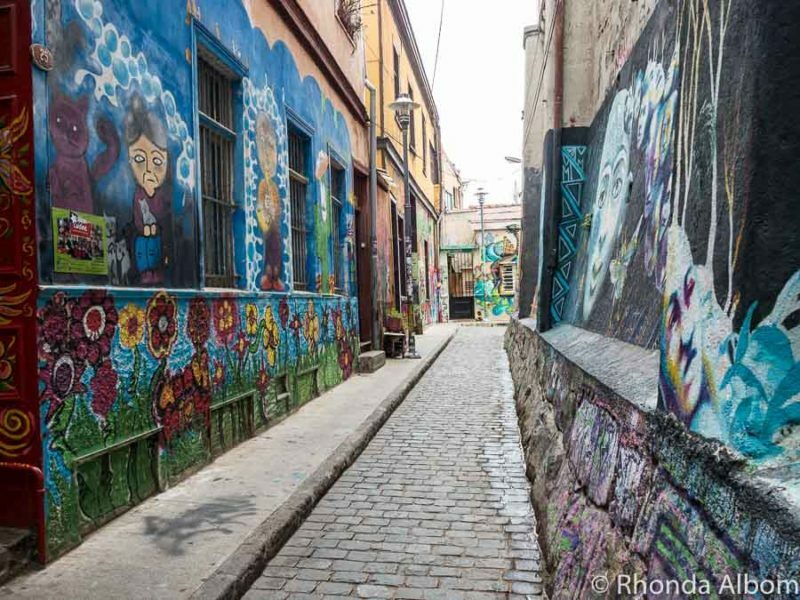 As a result, Valparaiso is a vibrant, colourful city offering some of the world’s best street art. Never forget to look up. Murals cover previously unpainted legal walls (and many that are not legal) throughout the city. Street art blankets the walls of this winding pedestrian passage (Pasaje Gálvez) on Cerro Concepción. I shot this photo from the doorway of a Chilean cooking class we thoroughly enjoyed. 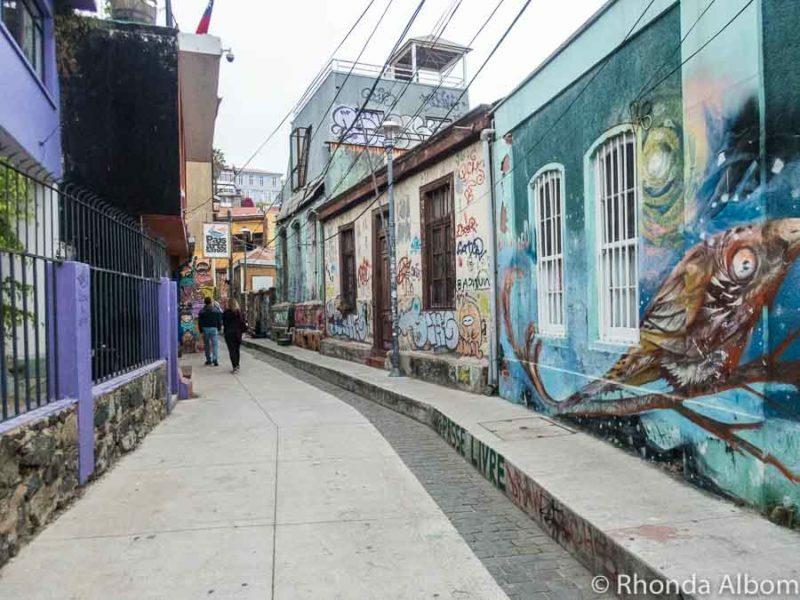 If you wander in the safer neighbourhoods of Cerro Concepción, Cerro Alegre, and Cerro Bellavista, you can easily tour Valparaiso street art on your own. 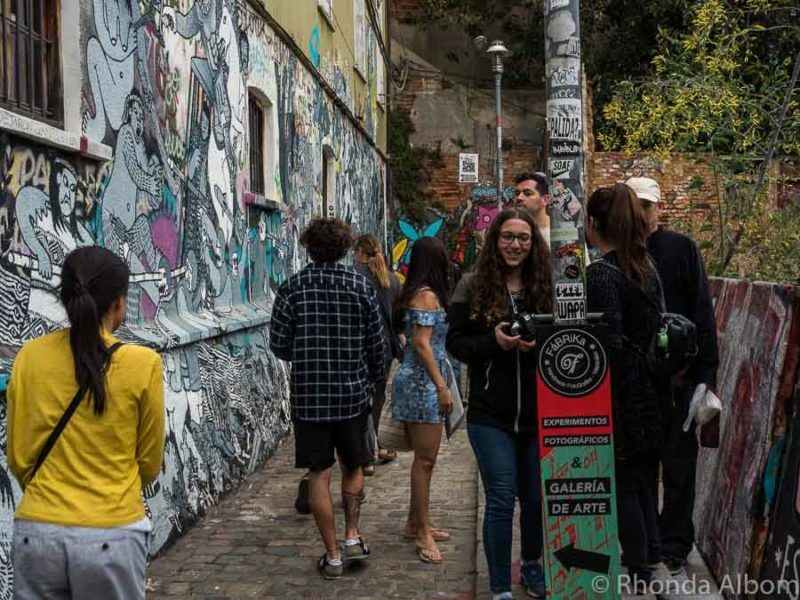 However, if you want a bit of history and don’t want to miss some of the most famous pieces (we missed the piano steps), a dedicated street art or graffiti tour is the best option. 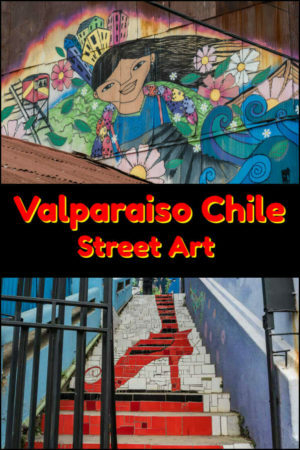 We took a city tour with Tours4Tips that naturally included some street art as it is so intricately engrained in Valpo culture. In retrospect, I think a cultural and street art walking tour would have been a better option for us. It visits street art we missed, including the open-air graffiti museum on Cerro Polanco, an area often recommended to be visited only with a guide (safety issues). 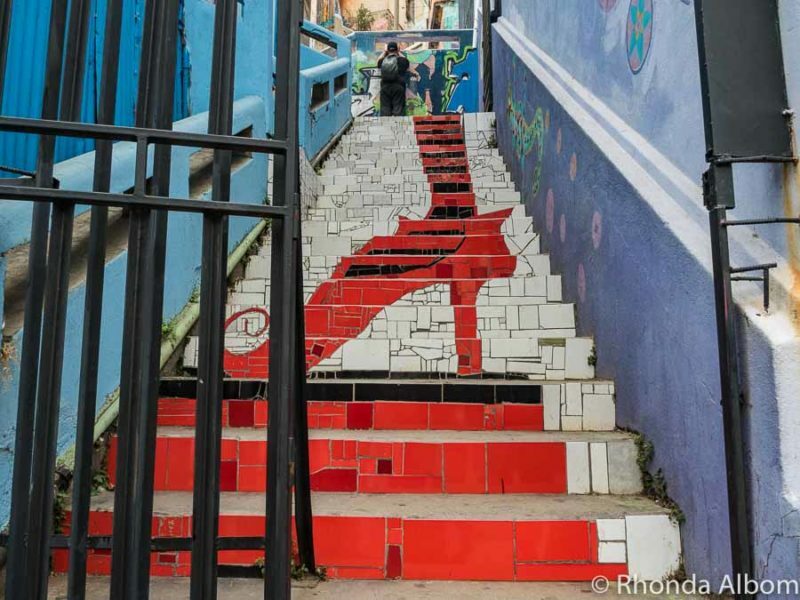 What really caught me in Valparaiso is the stair art. I have seen this style before, but always as a one-off. 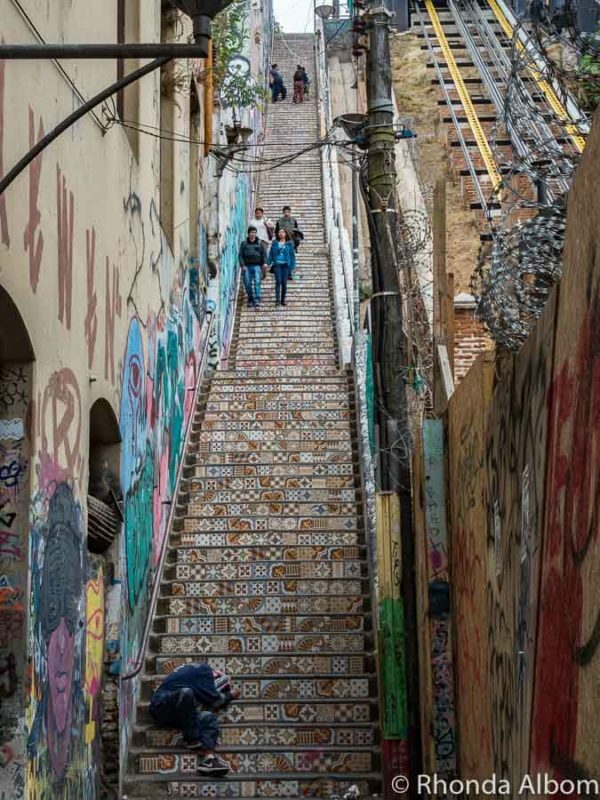 Being built on so many hills, Valparaiso is like San Francisco with staircases everywhere you turn. 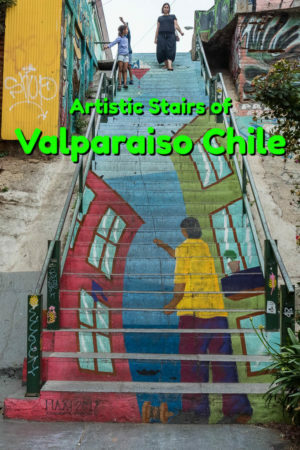 However, Valparaiso steps are painted, tiled, or otherwise decorated. Unlike the famous Selaron Steps in Rio de Jainero, in Valpo the top side of nearly every step we came upon was undecorated concrete. I don’t know if this is because walking on the art would eventually destroy it, or just a way to offer encouragement to those heading uphill. Either way, the effect highlights an incredibly talented group of artists. This culturally harmonious staircase is my favourite work in Valparaiso. Imagine the planning to create this mosaic. This long mosaic tile staircase is alongside one of the city’s funicular elevators. Even the older neighbourhoods have street art on the stairs. Summing up the history of Valparaiso street art in a few sentences, I will start with Pablo Neruda. The Chilean poet brought mural artists to the city. 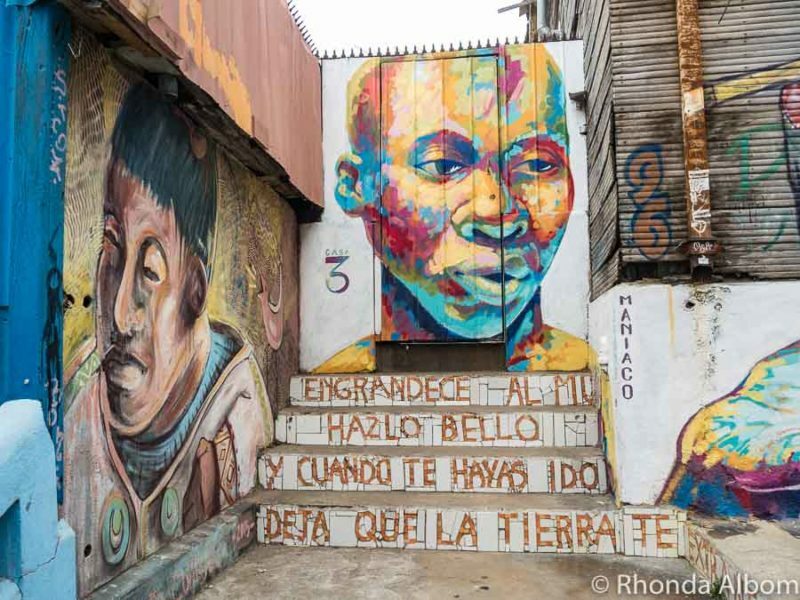 Then, in 1973 under the military dictatorship of General Augusto Pinochet, street artists in Valparaiso were forced underground and risked “disappearing” if caught. It was especially dangerous to those who painted political messages. 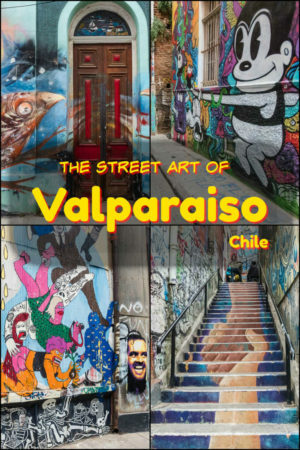 In 1990, with the return to freedom, the Valparaiso city government legalized street art. 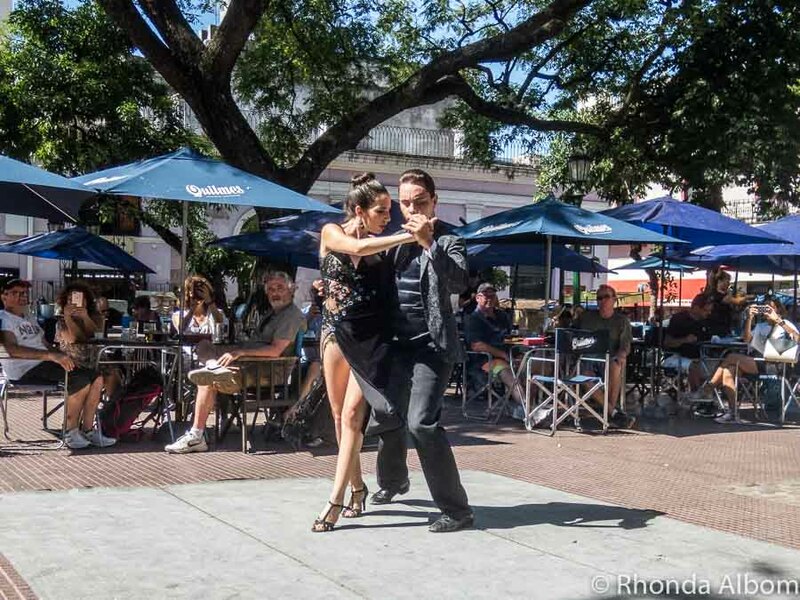 Today, the city attracts creative artists from around the world. Our city guide discussed the strong respect between creative people. She added that as street art and graffiti gained popularity, many homeowners found their homes tagged. The solution is to commission a mural, thus “protecting” their home from graffiti. A mural on the side of a residence. There is no overlap between the mural and tagging. Another example of artists finding their own spots, rather than clipping another’s work. A larger than life mural on Gálvez passage. It takes patience to capture images without crowds. This section of Gálvez highlights the typical crowds. Plastic soda bottles are recycled as planter boxes under the painted-on windows. Bold or earthy, it seems every blank wall is covered with colour. A port city, Valpo is a destination on its own or a day trip from Santiago, Chile’s capital city. 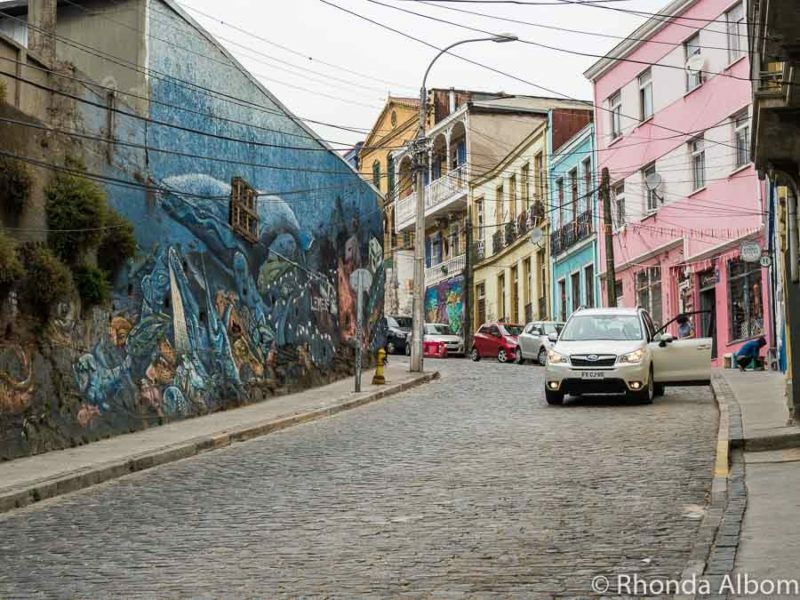 We spent several days in Valparaiso and could have easily stayed longer. However, if you’re based in Santiago or have limited time, a day trip might be the perfect option. Bring a camera. I shot the street art on this page with both my Olympus OMD-Em5 and a few of the shots on the Olympus TG5. The first is a mirrorless technology camera with interchangeable lenses. It’s the perfect travel camera. However, when heading into less safe neighbourhoods or underwater, I want my waterproof, crushproof, portable TG5 that easily tucks away in a pocket when not in use. Both cameras can shoot RAW format. Take extra precautions if you are looking for street art in the Van Buren District or on Cerro Polanco. 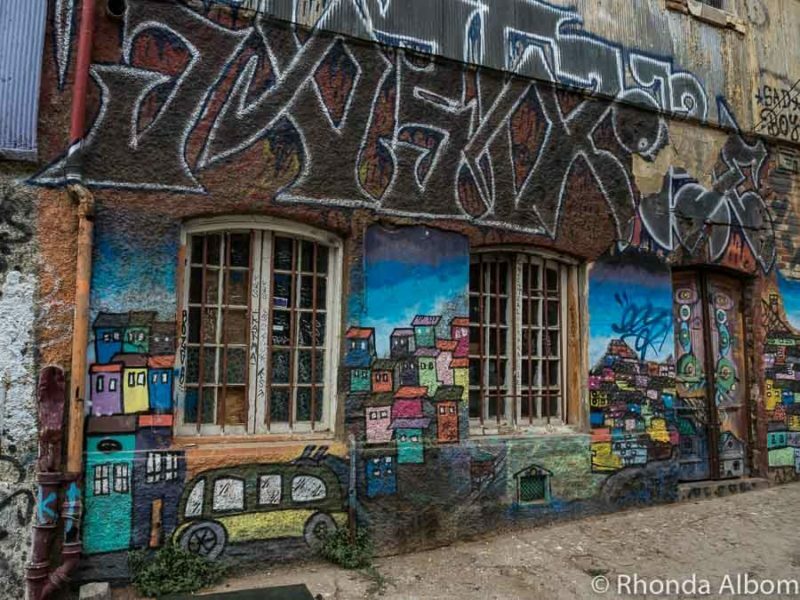 Street art fans, don’t miss this collection of South American graffiti and street art images. If you enjoyed this collection of Street Art in Valparaiso Chile, please share this article on Pinterest. 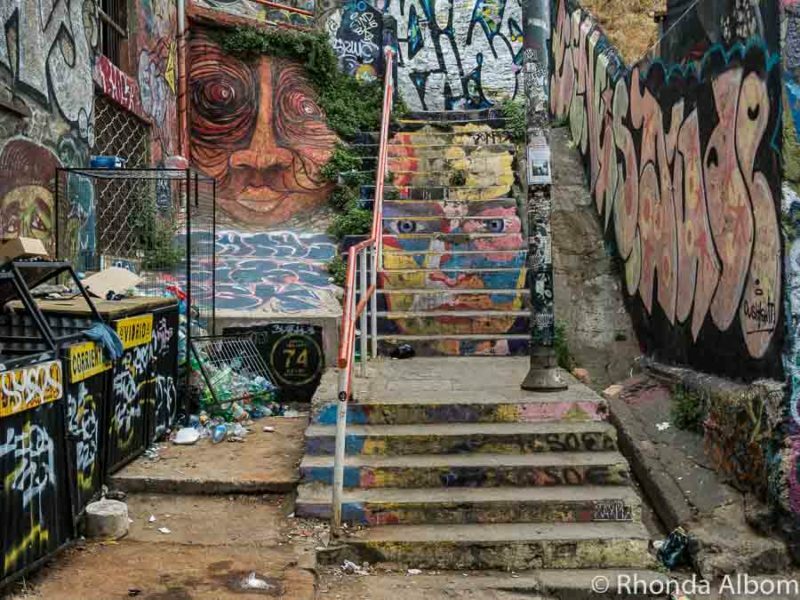 Which do you prefer, the Valparaiso street art or staircase art? 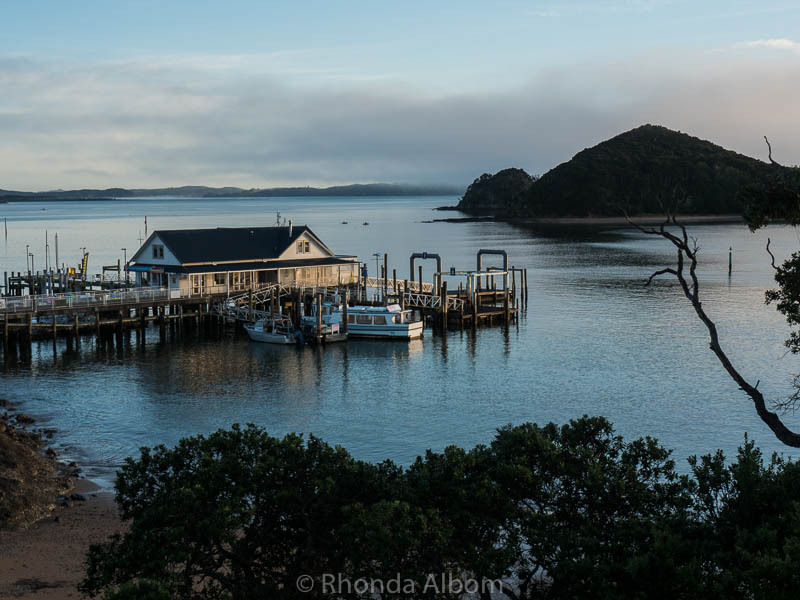 wow these are amazing perfect instagram locations aren’t they! Wow, what a beautiful place! I always love to stop and appreciate street art. It truly is art! Hi Rhonda, It’s too hard to choose between the wall and staircase art, because they’re both so exceptional. I guess I’d have to give bonus creativity points for the painted staircases, as I’ve never seen anything like it before. Just thinking about all of the hard work and attention to detail on the staircases makes my head spin. You can probably visit these places and find new beautiful things to look at every time. Vibrant is the word! Those photos are amazing! What a colorful and vibrant city! You know I’d love to visit and see all this fabulous art. As far as choosing between the staircases and the murals… I love them both. However, the staircases are as you say less common, and the complications of painting on them makes them all the more impressive. My family would kill me if we visited here because I would be taking SO many photos! Fun images! Nothing like that here. Wonderful diversity in the art. I love being surrounded by bright colors and art. Wow! brilliant street art and murals must LQQK even better actually being there, that staircase is so long heheh! Love love love the post. I always seek out the mural/graffiti district with every city I visit. Hello, the street art and murals are just beautiful. The stairs are amazing. Wonderful post and photos. Happy Monday, enjoy your day! Wishing you a great new week ahead! So many talented street artists represented there. I love the colour and the vibrancy of their work. Absolutely LOVE those staircases! What an incentive to walk upstairs more often! 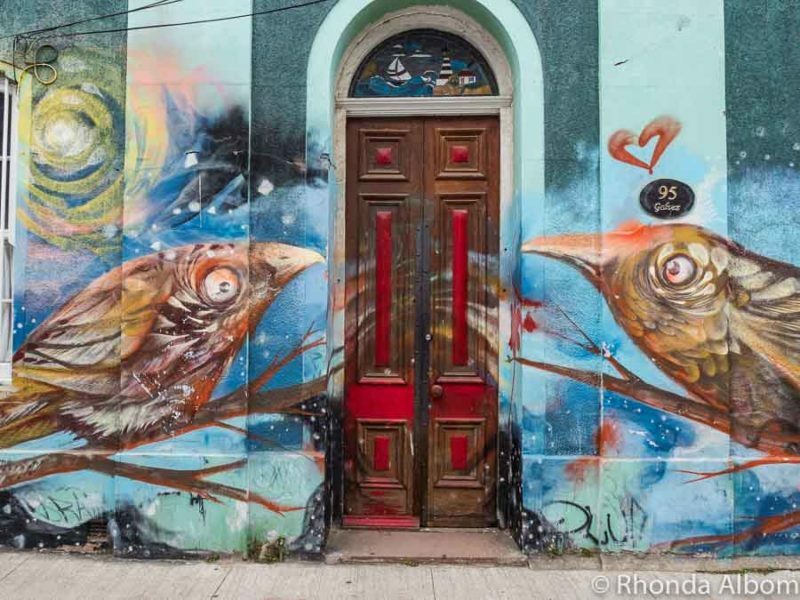 I’ve heard about the street art in Valparaiso but it looks more like a street art city in your colourful post. Wow – those stairs are amazing!! 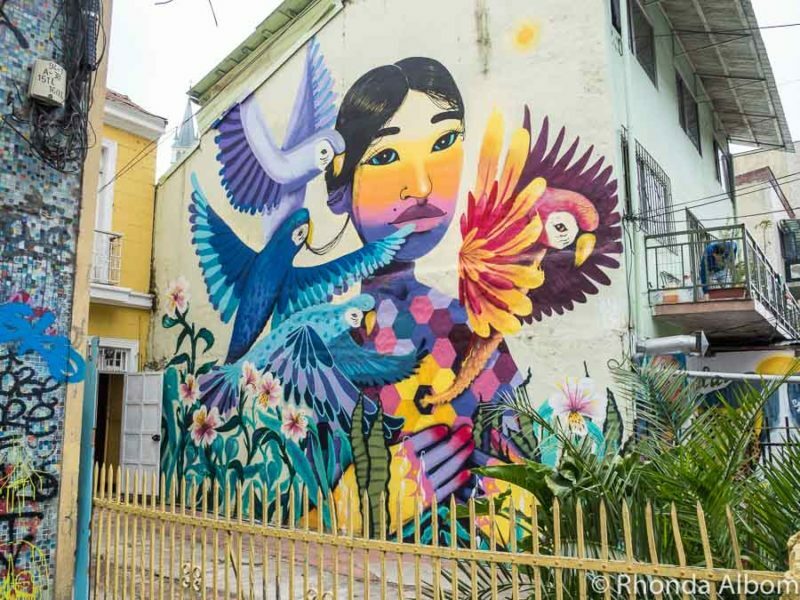 I love how Valparaiso embraces street art – it’s such a vibrant and colorful city, and the street art adds so much life to the already alive feel. I really enjoyed this post. I find this street art very appealing. I’m not sure if it’s because it’s so colorful or because it seems to have it’s own, different style. I’d enjoy seeing it in person in Valparaiso. I’m a graphic designer and get to do colouring in for a living 🙂 so I absolutely love street-art and always seek it out where we visit. I know very little about Chile, Valparaiso’s street art looks incredible!! How cool the city isn’t against it. I especially like the mosaics and the face murals, thanks for the insight! Wow! This is some really impressive street art. I love seeing street art when I travel and it’s always great to be in a place that promotes and appreciates the art form. I need to travel to Chile to see all of these great pieces in person. I recognize some of these murals from our stay in Valparaiso some years ago. I am glad to see the street art which we loved so much is still thriving. The staircases are amazing. So sorry to have missed the street art when I went to Valparaiso 8 years ago. This post makes me want go back. 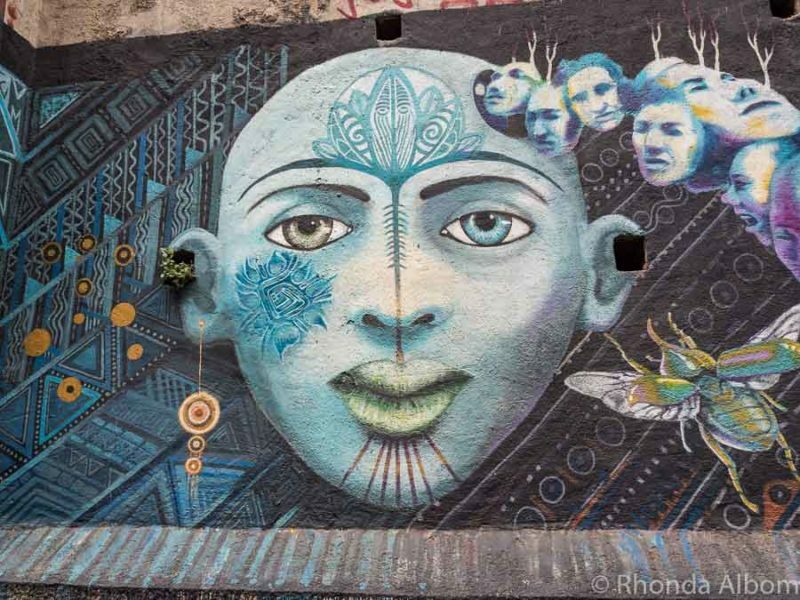 We love hunting down street art in towns and cities and the art in Valparaiso looks amazing – some really talented people! Gosh maybe NZ should be more colourful like this! That is some really incredible street art! I love scrolling through…so much attention to detail. I think I like the woman with the birds best but the staircase art is utterly captivating too. Those were a beautiful spot. I love how creative those who made this street art. I would love to visit Chile to see these. Wow! Some stunning works. Street art never ceases to amaze me. I always enjoy looking at street arts. They are like a free gallery on the streets. These are the most amazing street art I ever saw. Wow that is seriously great street art. I think that even beats Łodz in Poland. What a great visual journey. Street art is so cool! The work on the staircases is amazing and I think the hands one is my favorite too. I think the street arts, murals and staircase art are really creative and very impressive. I like seeing artistic creation like that and I admire the people who have the passion to share their skills. These are really great! I am so in love with mosaics, so interesting. Thanks a lot for sharing. Beautiful street art! I adore the recycled bottles/plant holder idea – so cute! This is a beautiful walk around. I enjoy watching graffitis and murals as they symbolize a very important part of the culture. Wow! That is some gorgeous street art! Some of those are like hidden gems! Those are some awesome displays of street art! I love the mosaic stairwell! Beautiful! Wow, these street arts are so cool. People who painted here have a great talent. 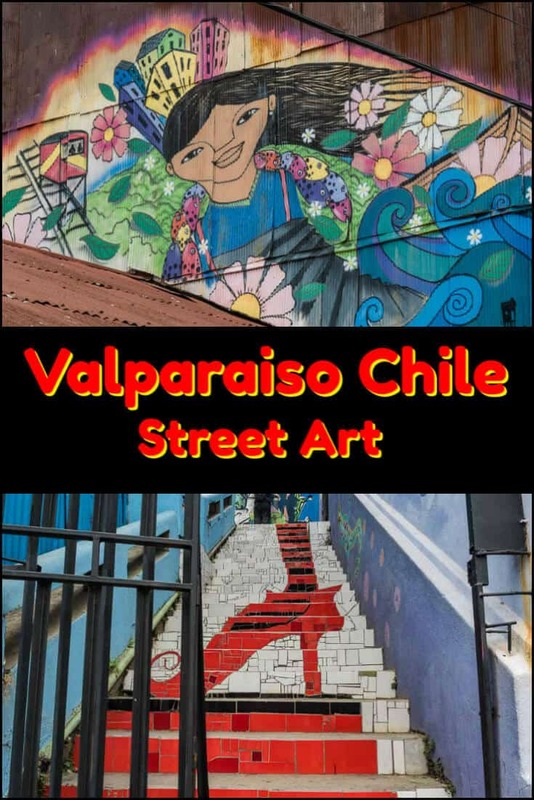 I have a fascination with street art and would love to visit Valparaiso and see them in person. Wow! This is so amazing! Can’t wait to see these in person! I love street art and this is a great list to find beautiful talent artwork. My favorite would be the long mosaic tile staircase is alongside one of the city’s funicular elevators. Look pretty high up to climb up but I m ready. Whoa it’s wonderful that artists can showcase their work in the streets !! Wow I am blown away by this place. I need to see this is person. Thank you for the inspiration, I am going to look more into this and consider adding it to the bucket list. Wow, such an amazing place to visit so unique and beautiful. I would love to see that place someday! Beautiful work. I love the two birds guarding the door. Such beautiful street art. Those creating this art are ever so talented – these are so colourful and interesting. Amazing the variety. Using the soda bottles is clever. Think I would definitely go with a guided tour. Never been here, so loved to see your photos, the street art there is amazing! The graffiti looks amazing! They are indeed artists and I’d love to take such a tour! I love the stairs too – I actually recently saw one in my hometown: it totally changes a place! Wow, I love the look of this. I like how large all the murals are and all the stairs are quite unique! Beautiful art! I see some familiar faces here. It’s been almost 4 years since my last trip to S. America. Street art was the highlight and the most cherished memory. I know, I know, there are tons of other things, but as a self-proclaimed street art aficionado, I was in heaven. Said this, due to time constraints, I managed to miss Chile. Every time I see another article about street art there, I am ready to bite myself. On a bright side, thank you for making my day. Cheers! Beautiful colors. I think of how many hours folks spend on street art. Minus a name tag, no credit. Pretty impressive to me as it shows folks are genuinely passionate about their craft and care little of gaining credit. 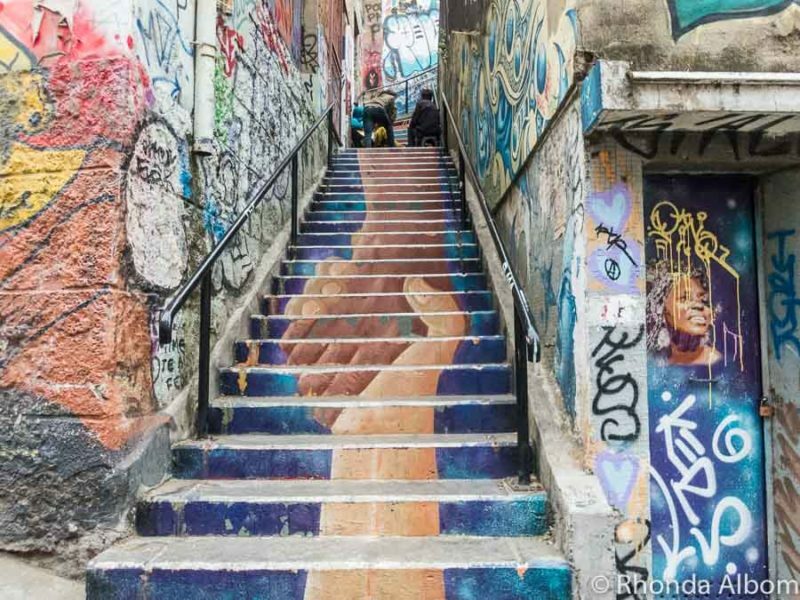 This street and staircase art is so beautiful. I have now officiously added Valparaiso to my bucket list! Wow, thank you so much for sharing! I do not know if I will ever be able to get to Chile so this is like I am living through you! Thank you! The murals are amazing & some are shocking. It’s kind of weird to not see any murals at all. Even the walk ways are painted in some manner. To me that is beautiful. I love colorful street art. There are some very talented artists out there and you found a lot of them. There’s some great works there. I love the moasic – Wizard of Oz?